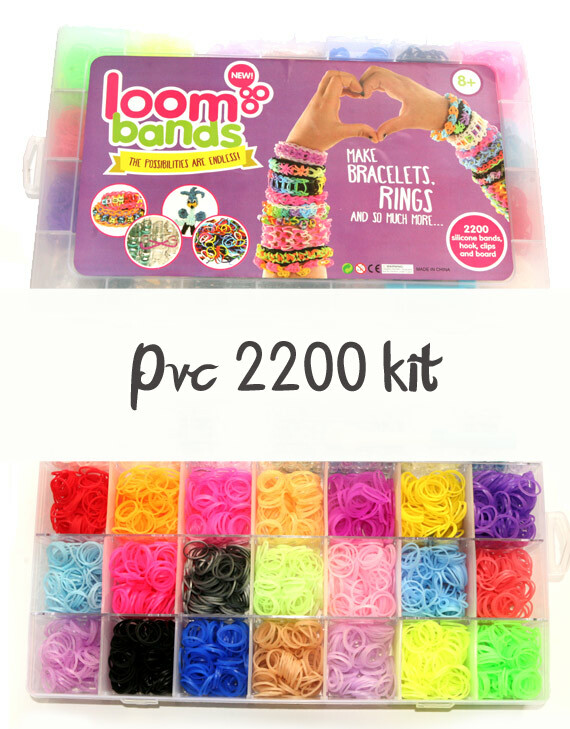 The diamond loom band bracelet is really very easy to make and laying your colours differently you’re able to create different looks. 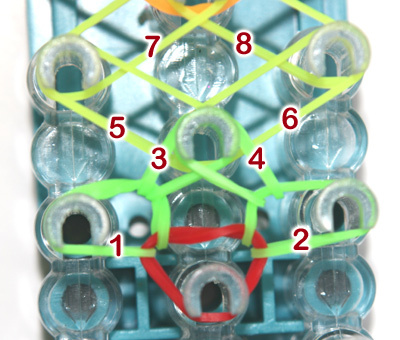 To learn how to make this bracelet watch the diamond loom band tutorial below or refer to some of the screen shots. In this Diamond loom band tutorial we’ll be using a capping band at the end instead of half a diamond and show in the above video. 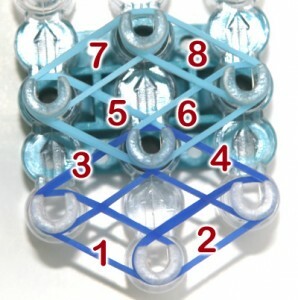 Apply your bands in the above order til you reach the end of your single loom board, you can either use the same colour for each diamond or you can use two colours as shown in the video. 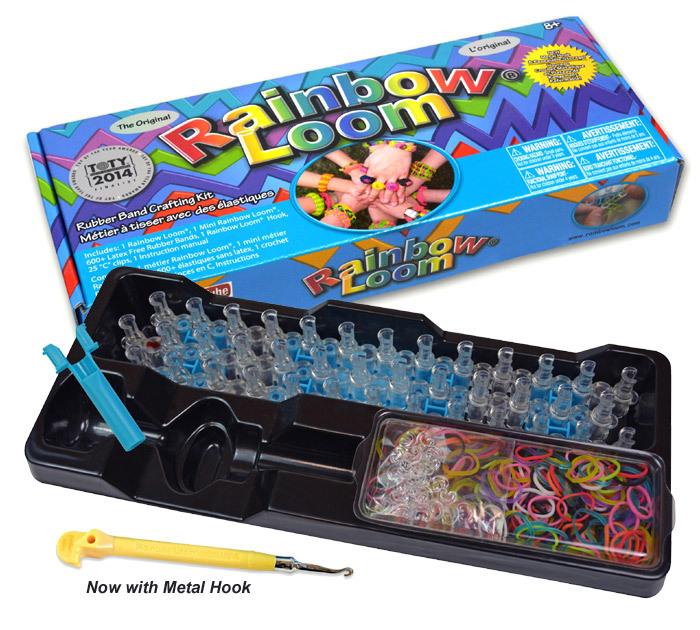 We have used an extended Loom board for this tutorial and have made this design long enough to fit an adults arm. When you reach the end, add a capping band (band twisted into a figure 8 and folded over) over the last diamond point. 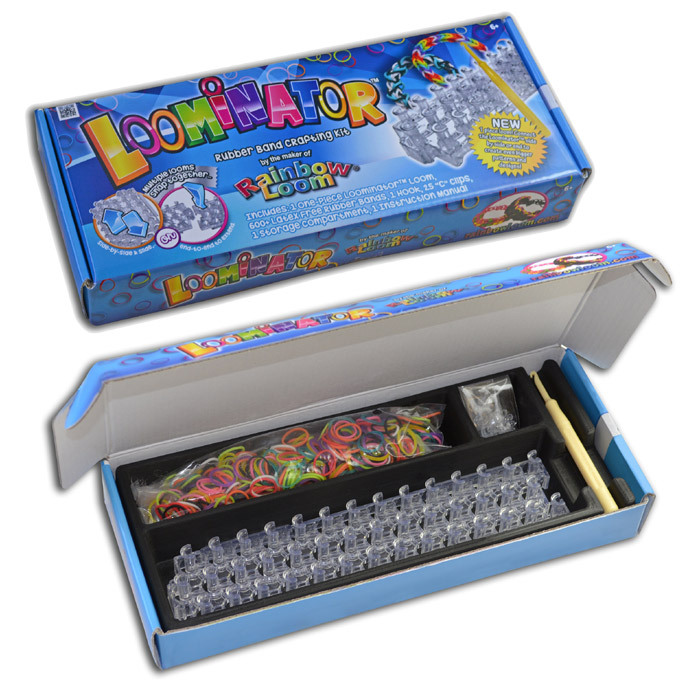 Now you are ready to turn your loom board around and start looming. General rule of looming (unless otherwise instructed) you always loom the first band on each pin, in other words under the red capping band the green band to the left was above the green band to the right, therefore we loom the left first. 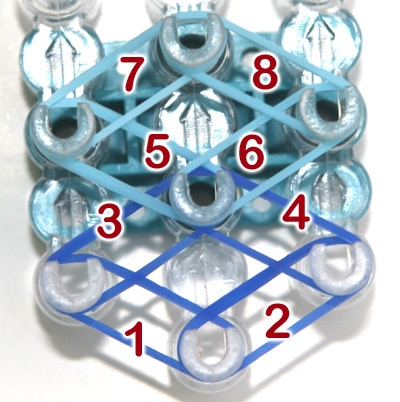 If you applied the bands as per the order instructed in step 1, the looming order should be as the image above. Once you are finished looming all your bands it should look like the picture on the right, and you’re ready to hook in your end band and pull your bracelet off. 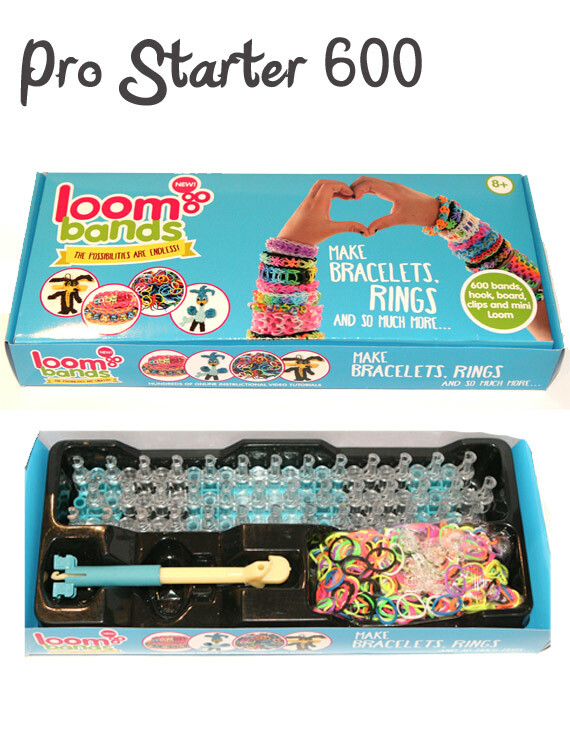 And please visit our Loomband shop for all your looming requirements, specials and new products.